Hope your Halloween is full of lollys and spooky fun memories. 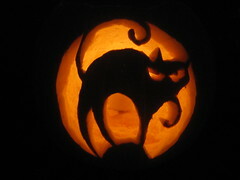 The is a photo of our feline pumpkin. Sloan’s party was a big success thanks to great weather, good food and friends and the best jumping castle ever! 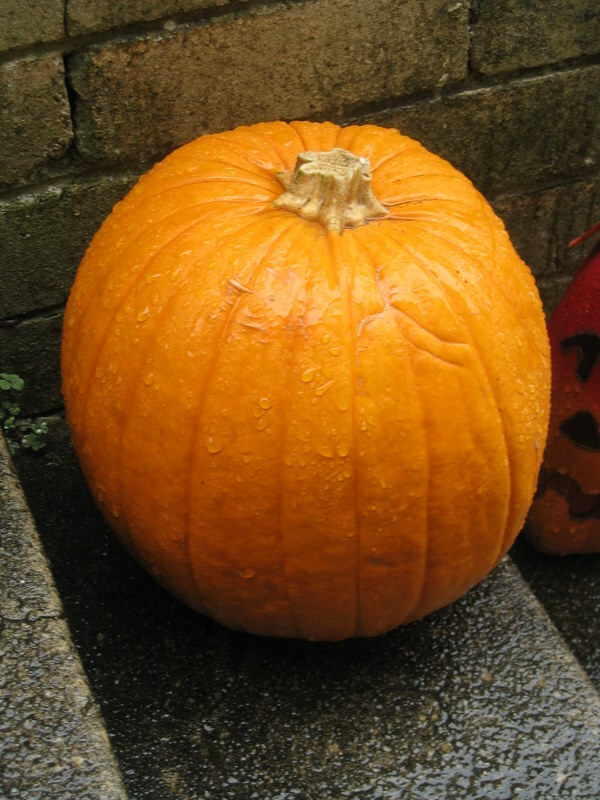 Two more sleeps until Halloween! The house has been decorated for awhile, but I still need to rally the neighbors to see if they will be up for some small, spooky visitors. Here is what we did today craft wise. We traced full bodies of the kids and let them color them in with clothes and faces. They love doing this and I can’t believe it has been so long since we last did it. Rain and sick Rhys home for two days now = one tired Mommy. Here is tomorrow’s big project. Here are the Christmas presents I have been working on for nieces. 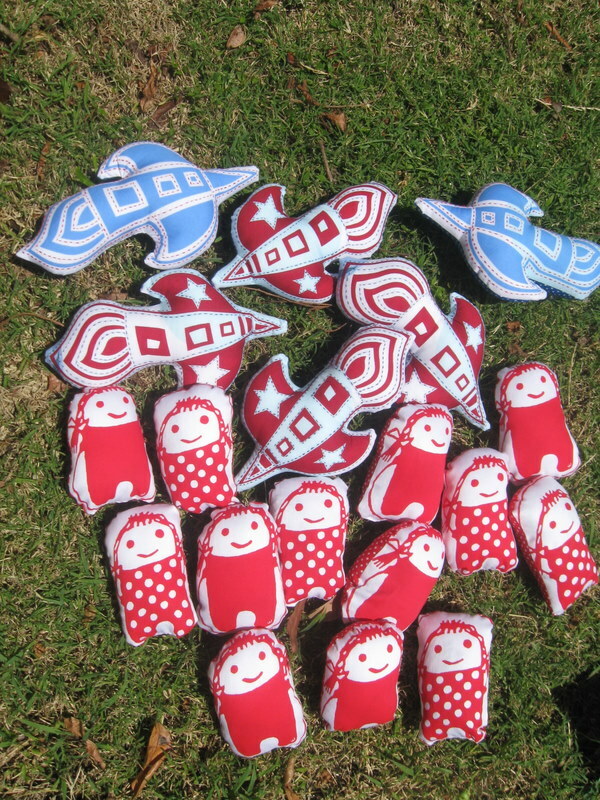 Wee Wonderful’s magic doll pattern. Hilary is a genius. Thanks to the wonderful blog by Material Obsession, I was alerted that there is a special Gee Bend exhibition here in Sydney this weekend. I must live underneath a rock……I had no idea that it was coming. I have been doing heavy time negotiation with the poor hubby to get Saturday off the kids / family so I can go. A bit cheeky since I already have him on duty on Sunday poor man. Here is a link with all the details: here. I told my husband it would be the equivalent of watching the rugby world cup with his team. That must have spoke to him because I am going! Work ahead of me tonight. 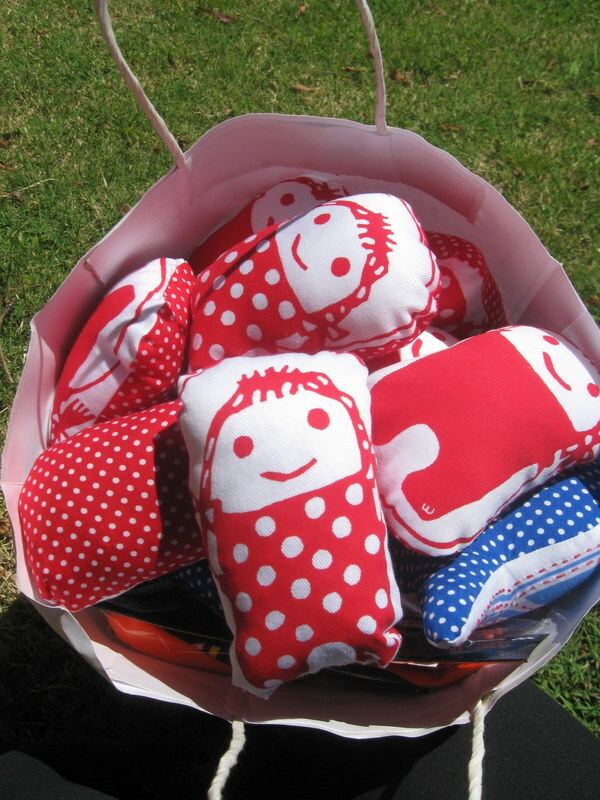 Lolly bags to stuff, lavender Sprout print girls to finish sewing, pass the parcel to wrap and my feet are already tired from the “no rain” dance I am doing until Sunday afternoon. Here are the rockets and lavender Sprout girls for the lolly bags. Have a great weekend and sun, sun, sun please!!!! Rhys is at school and Sloan is asleep. I am madly trying to organize things around the house and prepare for Sloan’s 2nd birthday tomorrow! I feel like I am forever fighting the clock these days. The bulldozer started work this morning on our new house. Very exciting times, but daunting the amount of work involved in it all. 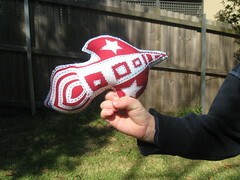 This is a rocket I made to go with a birthday present for a friend’s son. 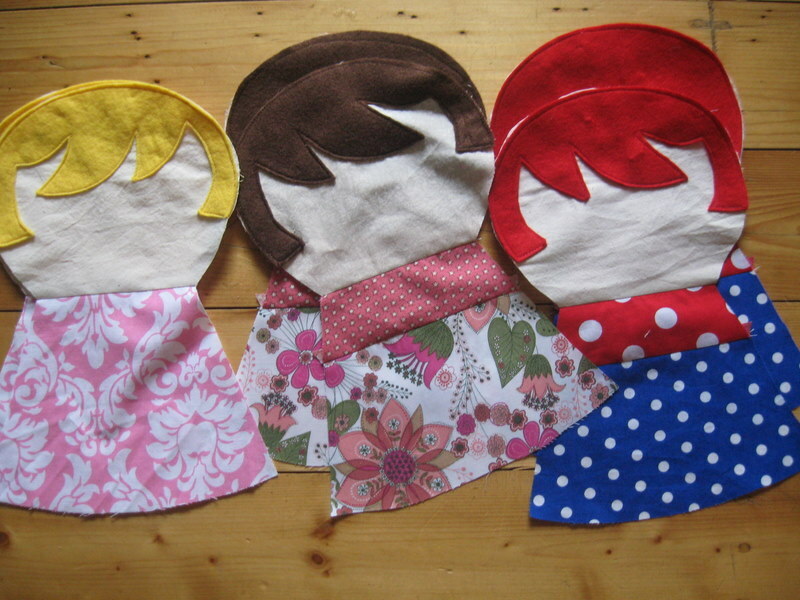 I have a few more sewn and cut out awaiting stuffing for lolly bags. The print is from Prints Charming and the fabric is such beautiful quality it was a joy to sew. Halloween countdown is officially on! I’m going to try and make a few things for Sloan’s birthday for the lolly bags. I know these fabrics aren’t screaming “Halloween” to go with the ghost lollypops, but I am really want to try an alternative to the plastic toys that go directly into landfill. I bought some lavender and was thinking of some drawer liners out of the skipping girls and some rocket softies for the boys? I am experimenting tonight on the rocket fabric and will see how it turns out. We aren’t having a huge party, so hopefully I can get them all done. Both fabrics are from Duckcloth. The red one is Sprout Design “Skipping Girl” and the other one is by Prints Charming. I bought some lavender and was thinking of some drawer sacets out of the skipping girls and some rocket softies for the boys? 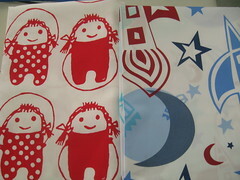 I am experimenting tonight on the rocket fabric and will see how it turns out. We aren’t having a huge party, so hopefully I can get them all done.